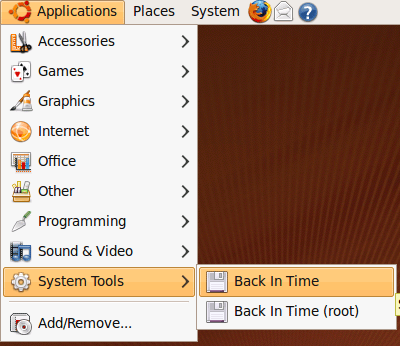 This tutorial explains how to install and use Back In Time on an Ubuntu 9.04 desktop. Back In Time is a simple backup tool for Linux inspired from "flyback project" and "TimeVault". 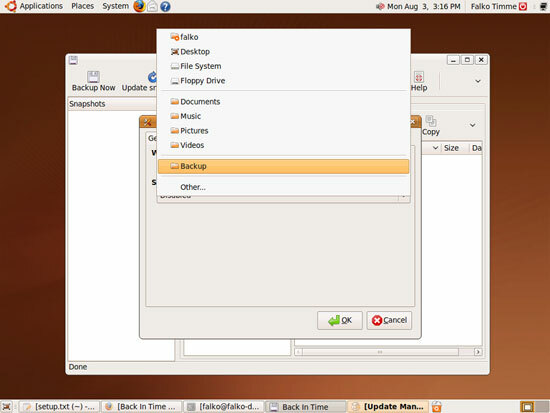 The backup is done by taking snapshots of a specified set of directories. Back In Time is not available in the official Ubuntu repositories. 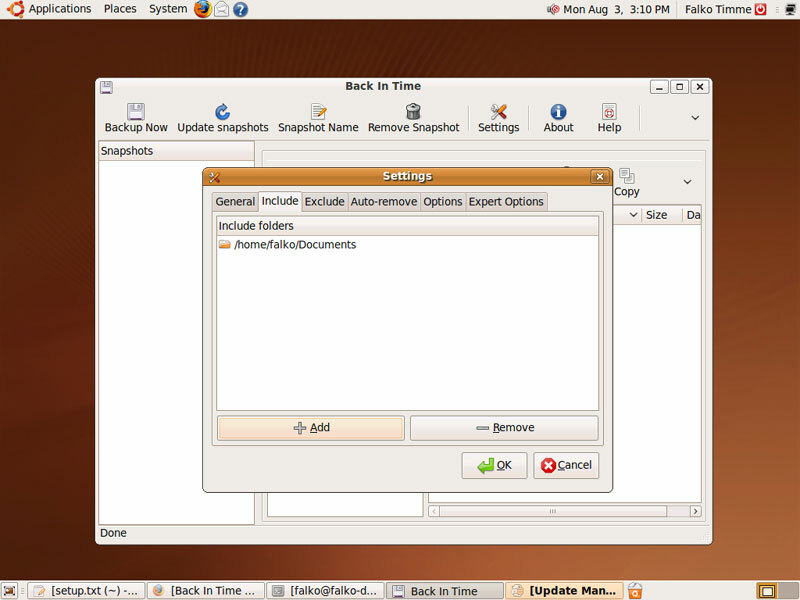 Therefore we add the Back In Time repository to our apt configuration. That's it, Back In Time is now installed and ready to be used. 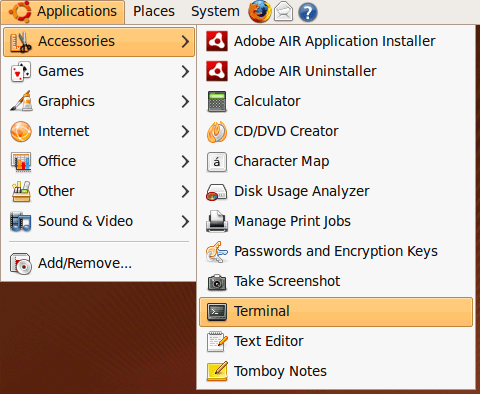 On Karmic (9.10) run 'aptitude install menu' before trying to use the Back in Time (root) menu item. If not, you could get a su-to-root error. Maybe not required for everybody but it was true with BiT 0.9.26.